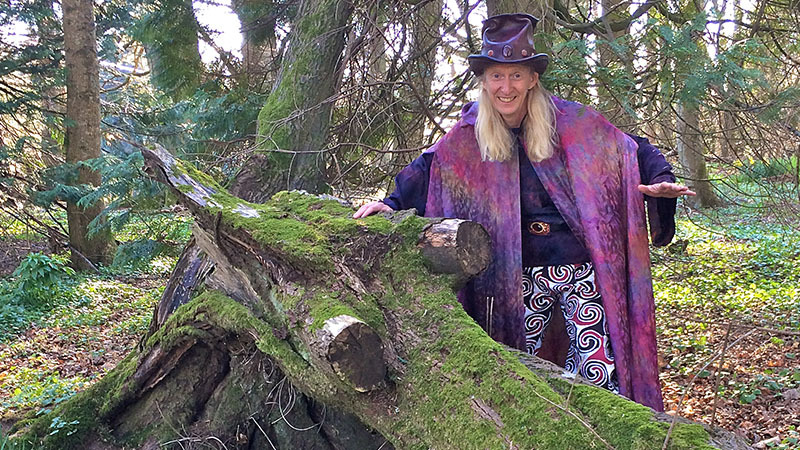 Please pay in either USD or GBP for Workshops, Retreats, Firewalks and Individual Consultations. 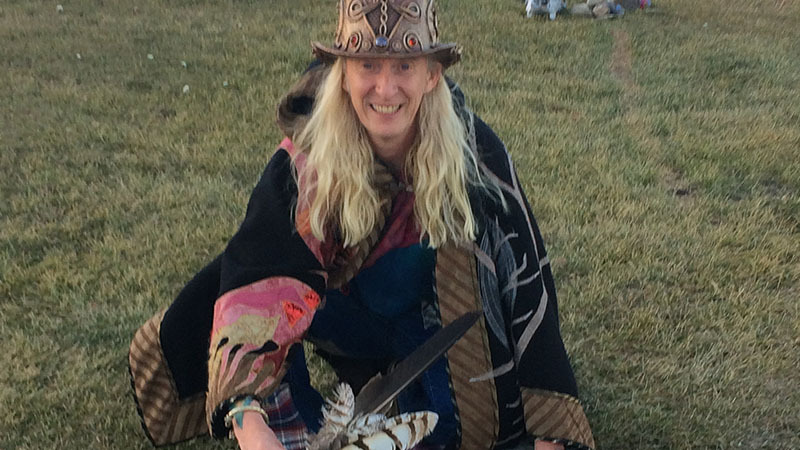 “Magical Crows, Ravens and the Celebration of Death” takes us on the inevitable journey many of us dread most. It takes us past the sorrowful darkness of death that is all too commonly our stopping point, to find the light, authentic joy, peace, and rebirth that is also a natural part of the death cycle. In the Western World so many people shut down emotionally at the mere mention of death and are paralyzed in their lives by a genuine fear of death. We all die a little each day; whether it be the loss of relationships, jobs or the physical loss of loved ones. This innovative book provides the tools to meet all of the different types of death that we face in our lives and transport us past the misery. 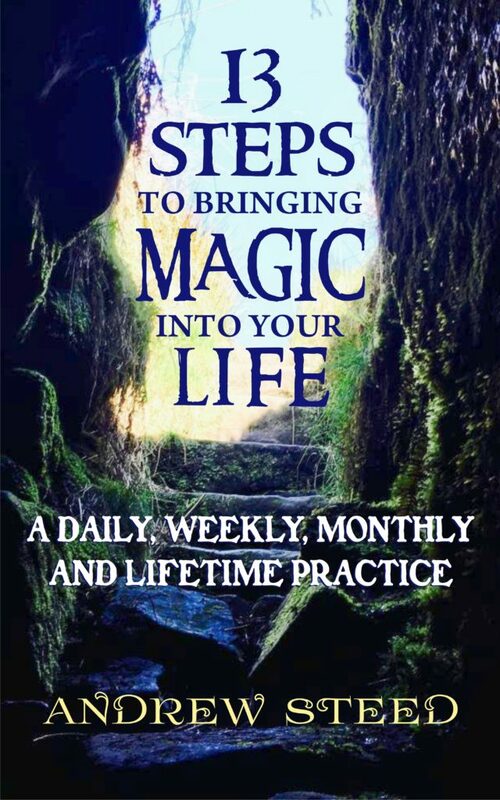 This book encourages us to open up and feel so that we can transform the many unprocessed deaths we accumulate into a positive, vibrant life force. 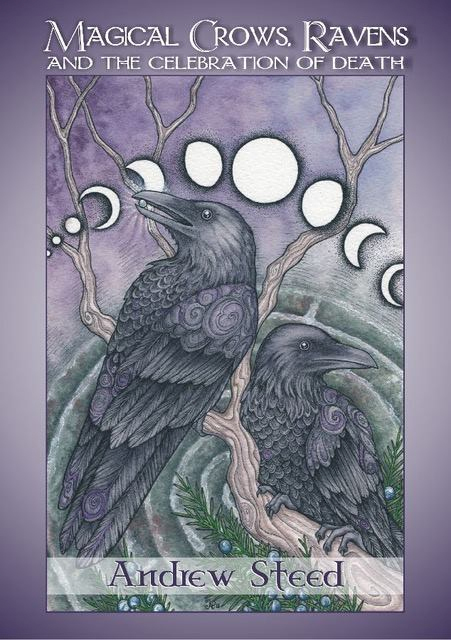 Crows and Ravens have been the harbingers of Death from time immemorial. 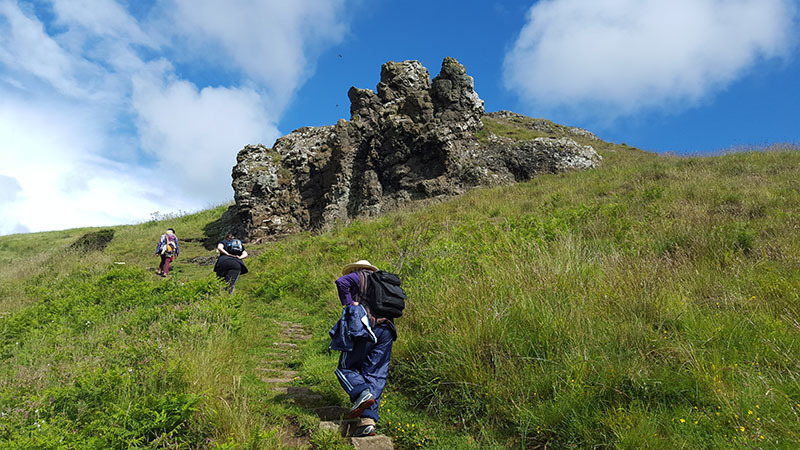 Through exploring the myths, folktales, history, and personal stories relating to the Corvidae, readers will be transported to a new level of appreciation for Life. With deeper roots, they will fly higher on their own journeys with a profound and deep respect for these wondrous winged ones! I experienced a life-changing encounter after visiting an elephant sanctuary in India in 2017. Three wise elephant bulls shared their hearts and their story with me. Delve into the pages of this fascinating journey and explore not only their story and mine—discover folk tales, myth, history, along with scientific and factual evidence that illuminates what it means to be an elephant in the world today. These intelligent beings are in danger of being driven from their homes in the wild. They experience great challenges in captivity. And yet there is hope: for the future of the elephants may very well be wrapped up in the evolving nature of human beings. How does this all work? 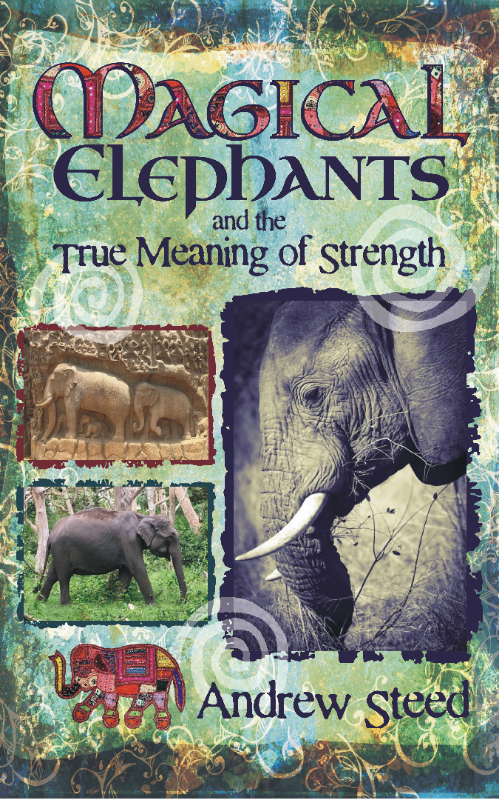 The elephants have shared their voice through me to teach us the true meaning of strength! Perhaps us humans will awaken in time so that our grandchildren and future generations will yet grow up to live in a world where elephants roam free. 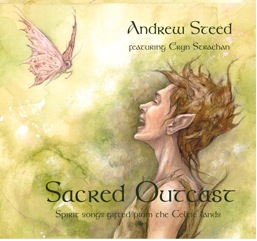 Sacred Outcast is a phenomenal gift of song. 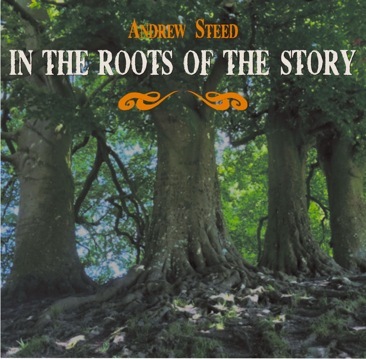 In 2014 Andrew experienced 13 Spirit Songs that share the stories of the Celtic Lands being downloaded through him. Sun God Lugh shines light into the story of the Second Battle of Mag Tuired, Brighid, Boann, Manannan Mac Lir, Finn and the Fianna, the Morrighan, the Dagda, the Bone Mother and the 4 treasures of the Tuatha Dé Danann are all celebrated in this wonderful collection of original songs. A wonderful collection of stories from the Celtic lands. 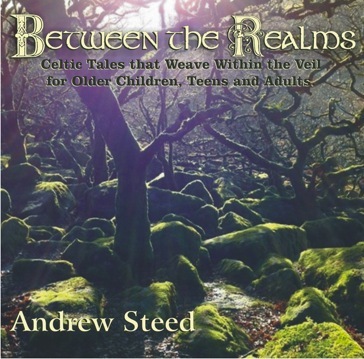 Step deeply into the veil as Andrew weaves the magic of the indigenous stories of the Gallic and Brythonic people of the Blessed Isles. From the medicine of laughter to the deeper meanings that are within the tucks and folds of each telling the listener is in for a treat. Boy with No Story, Fair Exchange, The Shee An Gannon & the Grugach Gaire, Duffy & the Devil and more. This collection of tales will delight audiences of all ages. Lots of laughter, suspense, mystery, problem solving and wonderful wisdom weaved within the roots of each story. 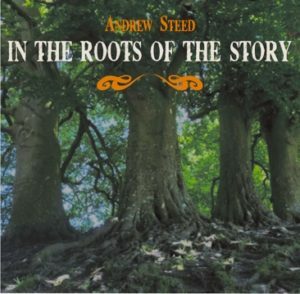 Andrew invites listeners to embark on a journey around the world in 8 rich and vibrant tellings. Stories from Ethiopia, Egypt, Mexico, India, the Caribbean, USA, Japan, Norway and the people of the Cheyenne. Powering Up Our Life Stories offers teenagers to elders the opportunity to reclaim the hero in their own life stories. Andrew Steed takes the reader on an uninhibited journey into the shadows to shine the brightest light in the darkest recesses of mind and body. So many souls have festering wounds closeted deep inside in a desperate attempt to survive traumas. The ancient art of reclaiming breathes new life to transform these dark desperate wastelands into rich fertile landscapes. With questions to stir insights and beautifully written examples of reclaiming, ‘Powering Up Our Life Stories’ is medicine for the soul. 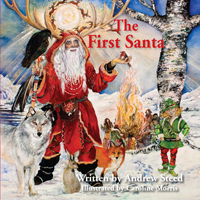 The First Santa is a brilliant journey that celebrates the wonder, magic and mystery of being alive. When a 9-year-old boy discovers the tooth fairy may be a sham, he questions the existence of the jolly old elf himself, Santa. The boy’s colourful dad takes him to the roots of the story, encouraging him to expand his horizon. The First Santa invites the child within us all to ‘wake up’, celebrate nature, faerie, and our authentic playful selves. A book helping to give meaning to the season of giving, and honouring the ancestors whose stories are etched in the land. 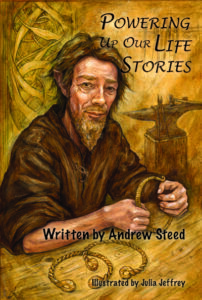 Andrew’s debut book on sacred travel, Celtic stories and stories of the land. For UK customers it is £9.99, including tax, and shipping and handling.